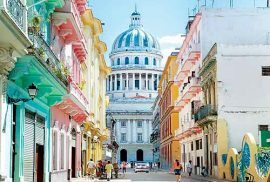 How do I perfectly pair my Cuban Cigar? 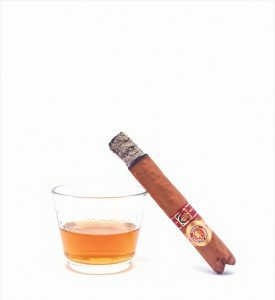 When thinking about making cigar pairings it is necessary to consider various factors. The strength of the tobacco as well as other attributes such as the diameter and length are the main factors to take into account. This should be compared with the characteristics of the drinks that we are going to pair the cigar with. For example, a malt whiskey or a Cuban rum that has been aged over 10 years could pair well with for example a Cohiba Talisman or a Partagas Serie N1. But if we are having a glass of Champagne it can be a Hoyo de Monterrey Epicure Deluxe. Flavours in both the drink and the cigar are more subtle. Now that we are aware of the basics of cigar pairing, let’s start with this month’s pairing. For this first pairing we have selected a very dear cigar to us which is the Ramon Allones Superiores, La Casa del Habano Edition, and a Havana Club añejo 7 años. While the 7 años añejo is a very popular rum and could even sound cliché to include in a pairing, it is really one of my favorites. Specially when pairing with medium to full cigars that are mid sized. The earthy notes in the Allones in the first part of the smoke contrast extremely well with the rich and honey notes of the first sips of the Havana Club. As the summer heat gradually wears off, and the sun sinks slowly beneath the horizon, I sit at the porch of my house in the mountains of Spain to enjoy this combination. Usually I would enjoy my rum with a fair amount of ice, as it creates a refreshing sensation during the summer months. In this case however, since I’m smoking a Ramon Allones Superior LCDH, which is a medium to full body cigar, I would not want the subtle flavours of my Havana Club rum to be watered down by the ice. For today’s paring I have chosen my usual torch lighter to toast the cigar and my Colibri V-Cut, a personal favorite. The climate is pretty dry, so after not too long of rotating the cigar at a fair distance from the light, there is an even burn to the tip, which I ensure with a few long puffs to get it started. This well rounded cigar starts off very well. With an exceptional drag it is sweet and mellow. Not many flavors to start with but you may feel a slight pepper note. As it heats up it starts developing more with rich honey notes, which are enhanced by the sweet flavors of the Havana Club rum. It is interesting to see how the flavors intertwine. I must say that at this point it feels more like a light-medium than a full body smoke. As the cigar gains heat and is reaching the half of the stick many more flavors come into play. Its intensity starts to increase into a medium to full bodied cigar. Cedar wood notes are definitely present. Here is where the rum really starts playing a more important role, refreshing the palet as the body of the cigar increases and complements the flavours that arise on the way. The final third is full of flavours. Even though it is a rather young cigar from 2017 it is well developed. You can taste a large bouquet of flavours, but the predominant tastes are leather and wood notes. I must admit that at this point of the cigar I did include some ice in my rum, to refresh my palet and enjoy the new flavours that would persist to the very end. As a conclusion it is a well constructed and full bodied cigar good for an afternoon or evening smoke. A very recommended pairing. After trying one of the most conservative pairings that can be done, I am left asking myself how this cigar would pair in the morning with a nice medium-strong coffee, or even with a craft beer which is becoming quite popular lately. The goal of these Cigar Pairing blog posts is not just to describe usual pairings, but also to learn throughout the process with less traditional concepts. Feel free to suggest any new ideas you have for interesting combinations you would like us to review! Don’t forget to check back soon as we will be having more entries and our monthly cigar pairings. P.D. Comment below for the GIVEAWAY! Loving the content guys keep it up! thanks for the pairing review. have you considered a cigar pairing with Port Wine? Lovely content, keep up the good work. Sometimes i prefer a Dr.pepper soft drink or coffee. Surprisingly it is a nice compliment. I love having a cigar with my coffee. A strong Nicaraguan bean with a Padron 80 years. Mmmm. Love the new page guys. As for pairings, I would love to see Cohiba EL 2014 paired with a willet whiskey. Awesome page and content. I really enjoy a stick like the Trinidad Vigia paired with coffee stout craft brew. My first experience was in Rome. Dom suggested some purchases, I smoked a Bolivar which was spendid as well as an open eagle. My second experience was after a purchase from Montefortuna which came in great condition. I have smoked several H Upmann LCDH edition and now can never go back to non cuban 😂. I paired with a gran cafe coffee from a famous coffee shop in Rome. Would love to see a venezuelan rum (diplomatico/pampero)/cigar pairing. One of the the best pairings for me is the Hoyo Epicure 2 and a nespresso. I normally go for a strong, dark coffee (always without milk; normally just a double espresso shot). Can’t be beaten in my opinion. Not everyone drinks alcohol so finding soft pairings is a top priority for me. I love this brand of cigars! Always give me a lovely dragon-smoke output haha! Perfect pairing for me is Goslings double on the rocks with all the boys smoking together! Great! I would suggest pairing a Cohiba Maduro 5 Genios with a full bodied champagne like a blanc des noirs (100% pinot noir). Think that’s interesting! I like a good Nicaraguan cigar and Kentucky bourbon. Green Tea Sencha and Cohiba Lancero. Monte Cristo 80 Aniversario & Ladyburn Limited Edition 42 Years Single Malt Scotch Whisk! I would like to see you pair a chocolate wine with a any monticristo or Ramon Allones. I would love to see a pairing with an Upmann Royal Robusto and a light flavoured rum. I would love to see a write up on pairing the mac daddy of cigars…the ultra elusive Behike with either coffee or a nice scotch. It seems like people post pictures of Behikes just to show that they have them, however they never actually talk about the cigar. 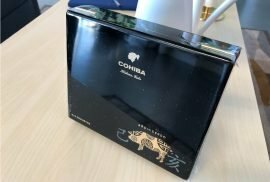 A solid review on how complex the cigar is using the hard to get medio tiempo leaf paired with a select roast or also elusive scotch would be amazing. The ultra elusive behike and a select coffee or scotch!! I Like to pair my cigars with a rum. My Favourite being Bumbu rum. Very informative thank you !! One of my favorite morning pairings is a bolivar Royal Corona with a nice creamy espresso. I would like to pair that Ramon Allones with some Willett Blue Swift Cognac!! I would like to see a Ramon Allones paired with a moscato. Which is the best and why? Love reading all of the wonderful content here. As I am very new to the Cuban cigar world, I would love to learn as much as I can. I recently purchased some Por Larrañaga (Países Bajos) and i tried pairing it with a nice ice cold porter! Awesome site and content. I like the pairing of Trinidad Vigia with a coffee stout craft brew. I also enjoy the Monte #2 with a tawny port when the weather is cool. The Montecristo A paired with a auchentoshan american oak would be a great review. The Montecristo A and the auchentoshan american oak Whisky would be great for a rivew . My first Cuban cigar, was a Bolivar Royal Coronas, I had bought it just before I attended my medic course. It sat in a baggie with a boveda pack for months till I graduated. I still haven’t enjoy a cigar as much as I did that night.